British cargo carrier CargoLogicAir (CLA), founded by Russian Volga-Dnepr Group, has received its Air Operator Certificate (AOC) from the British Civil Aviation Authority. The carrier currently operates one cargo Boeing 747-400F leased from Aircastle since November of last year. According to data from open sources, the aircraft, which has been in use since 1993, was previously operated by AirBridgeCargo, another subsidiary of Volga-Dnepr. CargoLogicAir will focus on “charter and regular flights to large cities in Europe, the US and the Asia-Pacific Region,” the carrier’s website reads. It intends to expand its route network through agreements with other airlines. The new carrier is currently in search of potential partners. AirBridgeCargo will be the new airline’s main partner. Earlier, the Russian sister-company expressed interest in cooperation with European carriers, but no agreements have been reached. With its British AOC, Cargologicair will enable AirBridgeCargo to expand its route network, according to AirBridgeCargo’s executive president, Denis Ilyin. There are several destinations where CargoLogicAir will complement AirBridgeCargo. Cargologicair will mostly specialize in charter flights, whereas AirBridgeCargo will concentrate on regular routes. CLA was founded in June 2015. Its main stakeholder is the Netherlands-registered Volga-Dnepr Logistics BV, which is owned solely by Volga-Dnepr Group’s president, Alexey Isaykin. 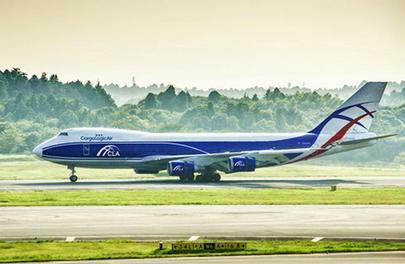 CargoLogicAir will be based in London Stansted Airport, home to Volga-Dnepr’s representative office for years. There is indication that the carrier is negotiating with Manchester Airport, where it intends to establish routes to the US.